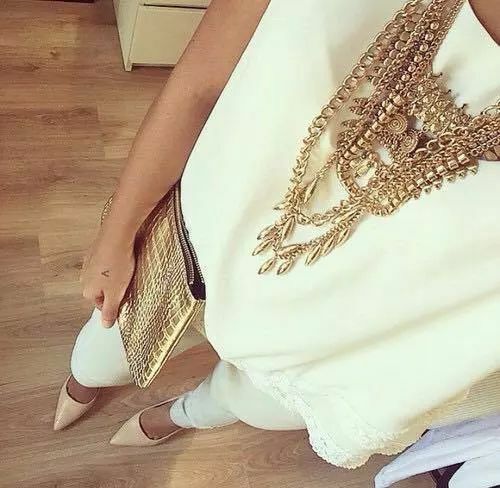 I am in love with the gold accessories in this outfit. This is one of my favorite outfits. It casual, chic, and edgy all in one. I love the striped pattern and fit of the crop top and high-waisted capris. This is a perfect example of my casual style. Basic top, joggers & sneakers. Not to mention the big hair. One of my favorite trench coats that I’ve found so far! I love the soft pink color. 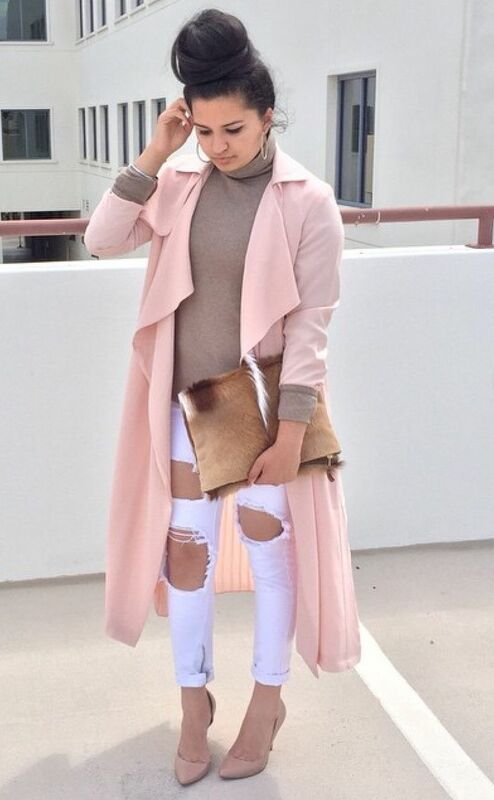 Looks really good with the light denim and tan used to complete the outfit. The styling of the dress is perfect. I would personally wear this. Perfect summer fit. Inspired to buy a high-low shirt dress and knee high gladiators. I love everything from the all black to the hair style. Rihanna slays every time. Very grunge/chic. Ever since I began college I began to wear my hair natural a lot more. Although it’s healthier for my hair and I’ve began to like the style more, my daily hair regime tends to be a little more time consuming and pricy. 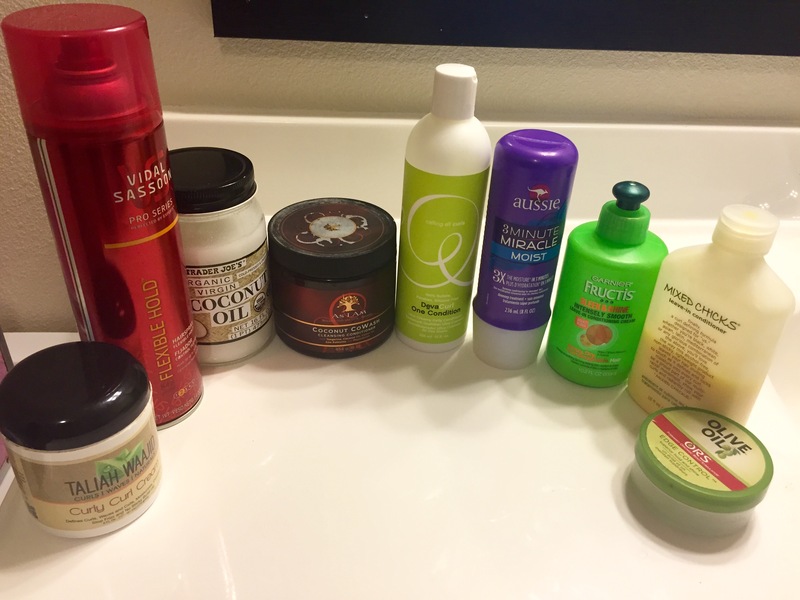 After trying out endless different products I found that these products work best for my hair and if you have thick, curly, coarse, moisture-seeking hair like mine these products should work great for you too! I begin my process by hopping in the shower, rinsing out all product and residue from the previous day. Also, since I am biracial and have very complex hair I found it easiest to style my hair while it is wet. After fully rinsing out all product and combing out my hair with my fingers (using an actually comb ruins my curls) I use one of the two conditions that you see above. 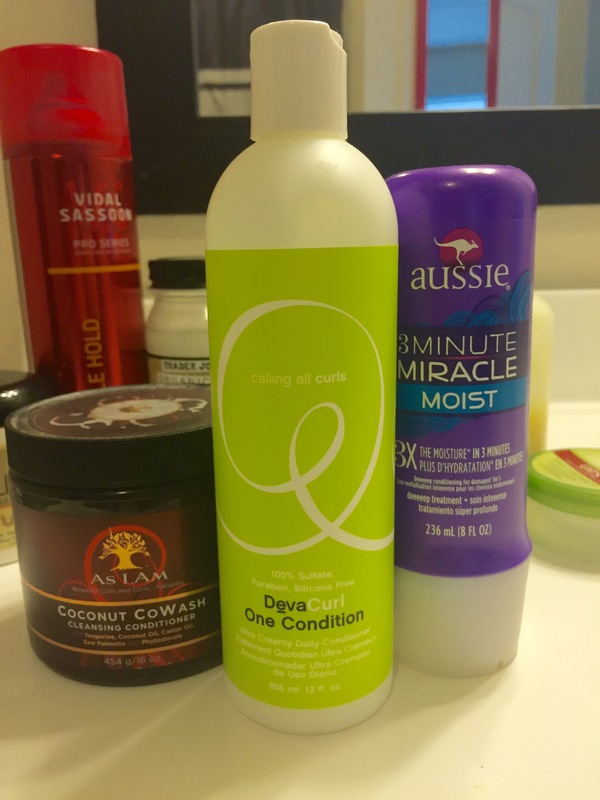 I enjoy using the Aussie 3 Minute Miracle Moist Deep Conditioning Treatment because it is very cheap and gives my hair the moisture it needs. I’ve tried other department store conditioner like Tresemme, L’oreal, and Pantene but I’ve found that Aussie does the best job at providing and maintaining moisture. It also smells amazing! I typically buy it from either Target or Walmart where you can buy the 8 oz. bottle for $2.97 – $2.99+tax. I usually chose to use it one days that I plan to wear my hair slicked back or up. On days that I plan to where my hair down I use the DevaCurl One Condition Ultra Creamy Daily Conditioner. It doesn’t smell that great but it does an amazing job at defining my curls! Not too many stores sell it but you can buy it online from DevaCurl.com or eBay where I bought mine for just $12.13 plus shipping for a 12 oz. bottle. I only use the As I Am Coconut Cowash Cleaning Conditioner about once a week when my hair is due for a wash. When having thick, coarse hair it is not good to wash your hair more than one a week because it will dry out your hair and make it brittle. I bought my 16 oz. cowash for $8.99+tax at Sally’s. Since I have A LOT of hair I tend to go through each bottle as fast as two weeks to a month. That is always why I like alternating between them. Once I make sure all of my hair is conditioned and fully rinsed out I then begin to style it. This process can take me anywhere between 10-20 minutes depending on how well my hair behaves. I DO NOT dry my hair or wrap it with a towel. While my hair is still fairly damp I add the Granier Frustis Sleek & Shine Intensely Smooth Leave-In Conditioning Cream. I bought my 10.2 oz. bottle from Walmart for just 2.96+tax. I love this product because it is also very cheap and helps tame my frizz really well! It also smells amazing so much so that people think I’m wearing perfume. Once I spread out the conditioning cream throughout my hair evenly, I apply the Mixed Chicks Leave-In Conditioner. This is my favorite product out of all of them. 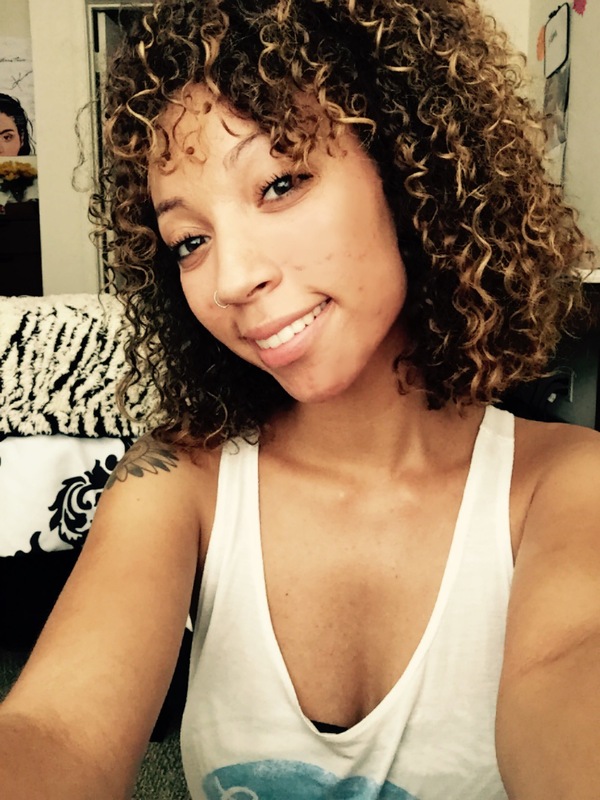 It gives my hair shine, and keeps my curls in tact without leaving my hair hard or sticky! I’ve realized that when I don’t use it my curls don’t stay as well. The only thing that I don’t like about it is that it costs $19.99+tax. You can also buy this product online but I personally by mine from Target. On days that I feel my scalp is dry I apply a little bit of coconut oil down the middle of my scalp. There are coconut oil products sold in the beauty aisle at majority of stores but I’ve found a cheap $5.99 16 oz. jar at Trader Joe’s that does the job just as good. I also use the coconut oil when I straighten my hair along with a heat protecting spray because it keeps my hair sleek and moisturized. 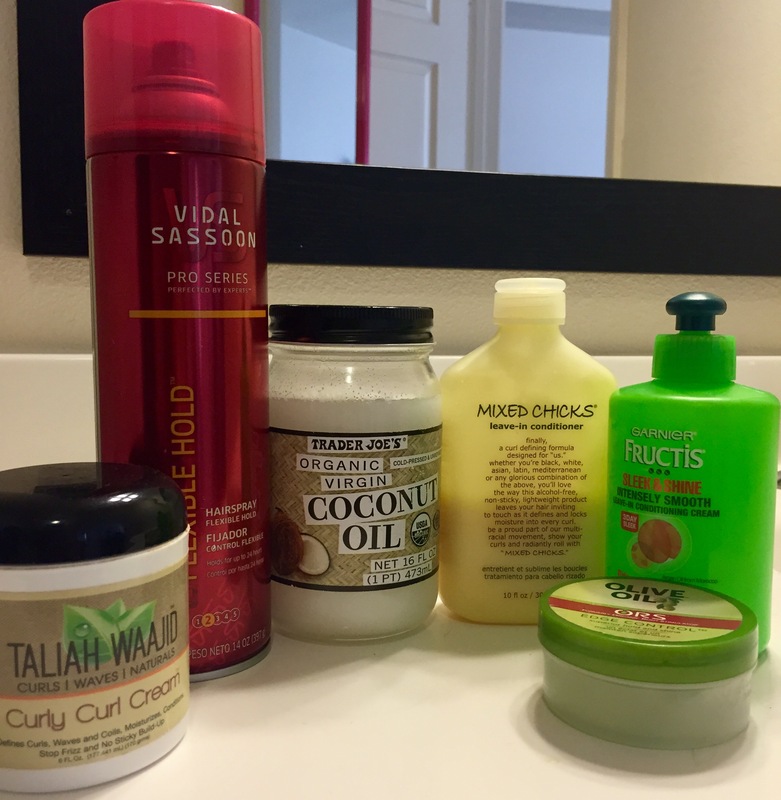 I initially bought the Taliah Waajid Curly Curl Creme from Sally’s (for $8.29+tax) to use as a leave-in conditioner but I found it to be really thick and sticky so I mainly use it to slick my hair back and for edge control when my hair is down. This product out of all the ones I use smells the best! Sooooooo good that you will just want to smell it all day! My actual edge control, ORS Olive Oil Edge Control Hair Gel also smells really good and works great at keeping my edges laid. The only thing about it though is if you don’t rub it in well or use too much it will turn white. So every time I use it I go over the applied area with a bristle brush. I bought mine from Walmart for just $3.24+tax. And my last product, Vidal Sassoon Pro Series Volume Hairspray is what I only use on very humid days. I don’t typically like to put hairspray in my hair for the simple fact that it makes my hair hard and sticky but it is very useful on hot, humid days when I just can’t tame my frizz. I also bought this product from Walmart for just $3.97+tax for a 14 oz can. The finished result! Sleek, shiny, moisturized, and tamed. And not to mention that you can smell my hair from a mile away! I hope my daily regime was useful to a lot of you. Feel free to ask me an further questions.